Amazon Fire TV Stick offer: It is a smart device made by Amazon to convert your simple TV into a smart TV. You need a TV which supports HDMI connection. After installing it you can do almost everything that you can do on a smart TV. Also, You will get an amazing remote with it. That’s it, Now purchase Amazon Fire Stick by visiting this link and Pay via Amazon Balance, you will get 200 Rs Cashback. Total If you are a Prime member, you will get Fire TV stick at 3000-200-150= 2650 Rs or If you are a non prime member, you will get at 3500-200-100= 3200 Rs. Today (24th January) is last day of this Amazon Fire stick TV offer. If you have any confusion regarding above offers, please drop a comment below, I will reply Instantly. What is Fire TV Stick? 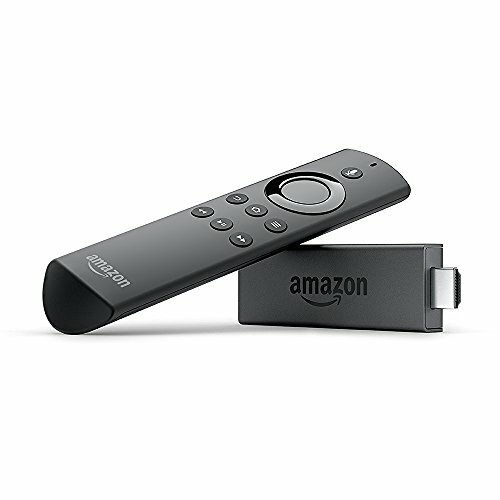 Amazon Fire TV Stick is a tiny stick that connects your HDTV to a world of online entertainment. With a huge selection of Bollywood, Hollywood and regional language movies, TV episodes, voice search that actually works, it’s the easiest way to enjoy Amazon Prime Video, Hotstar, Netflix, YouTube, Eros Now, Gaana, music, games and more. Simple to set up Something's always on With instant access to your favourite subscription and streaming services like Amazon Prime Video, Hotstar, Netflix, YouTube, Eros Now, Gaana and more, you're sure to find something you love. Watch live TV (including sports and news) as it happens. Subscription fees may apply. Even better with Prime Being an Amazon Prime Member unlocks thousands of Bollywood and regional blockbusters, Hollywood movies, US TV shows, kids’ shows and original shows created by Amazon. From award-winning Amazon Originals like Mozart in the Jungle to great shows for kids like Tumble Leaf and Creative Galaxy, something is always on. Say it, Play it Less searching, more watching. Speak into the Amazon Fire TV Voice Remote to instantly play TV shows, find movies and more. To play movies and TV shows on Amazon Prime Video —just say “Rock On” or “Hindi Medium” to get even easier access to your favourite movies and TV shows. Take your TV with you Never miss an episode when you're away from home. Amazon Fire TV Stick works with any HDTV so you can take it over to a friend's house or bring it along to hotels. Just plug and play anywhere—all you need is a Wi-Fi connection. 1. It comes with a non-infrared voice remote which is simple but powerful, you will not need tv remote to change the initial connection from TV to HDMI, just press any button on remote and you are ready to go. 2. You can install apps from built-in Amazon app store. 3. There are plenty of good apps available like Hotstar, Amazon prime video, YouTube, JioCinema, Netflix and many more. 4. You can install third-party app also like a web browser but you have to be a little techy for doing the same. Watch any YouTube tutorial for installing a web browser. 5. You can control everything by remote given as well as by your mobile by downloading fire tv remote app. Controlling fire stick via mobile a lovely thing, because you can also type via your mobile keyboard otherwise, you have to use the on-screen keyboard. 6. You can mirror your mobile screen and Windows 10 laptop to tv. So with fire stick just forget about any wired connection. You read it right, you can mirror your laptop too. For doing so press home button for about 2 seconds and open screen mirroring screen in fire TV and then open screen mirroring on your mobile or laptop. 7. Don’t worry about how to operate it, it will give you various tips on 1st-time startup. 9. You can connect it to any wifi or wifi hotspot just like you do in mobile via it’s setting menu. Put batteries in the remote. Now Put fire stick in HDMI extender if you want or need it and plug it into your TV’s HDMI port. Change input type of your TV to HDMI via your TV remote. Now I don’t need to tell anything because you will see necessary instructions for installation on your TV screen. If you want to enjoy TV Shows whenever you want, If you want to watch TV on Internet, then this device is for you. Go ahead and buy here.